About 4 miles from Glangevlin stands a large glacial erratic known as ‘Maguire’s Chair’. Various stories are told about its name; one story claims that the stone was where the chief of the Maguire clan was inaugurated in medieval times. Another tale tells of a time also during the medieval period when Maguire sat in judgement here in a dispute between the McGoverns and the O’Rourkes of Leitrim. During the Penal Laws, the spot was used as a lookout point to warn priests saying mass. It was also a popular spot for dancing and games playing on the last Sunday of July or the first Sunday of August. A monastery was originally founded at this spot in the sixth century by St Mogue. In the twelfth century, the monastery joined the Augustinian order, and it is from this time that the surviving buildings date. The tower shows two periods of construction, with the base twelfth century in origin, and the upper portion dating from the fifteenth century. Medieval carvings can be seen in the monastery itself as well as the tower. The monastery was suppressed in the sixteenth century but continued to be used for divine service until 1820. 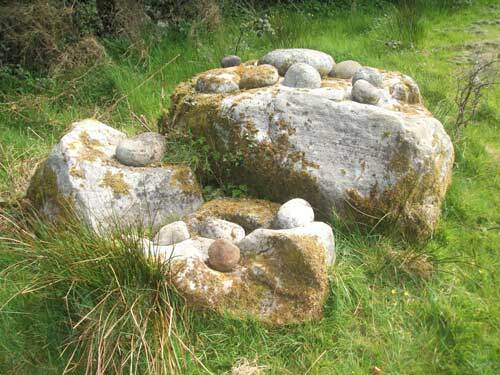 In Killinagh, on the shores of Lough MacNean, outside Blacklion, lie three stones, which contain sixteen smaller stones placed in a bullaun (an artificial hollow) near a medieval church. Bullaun stones are common at early Christian sites. These stones are known as ‘The Cursing Stones’ and could be used by anyone wishing to curse another. But beware: if the curse was an unjust one, it would rebound back onto the originator of the curse! 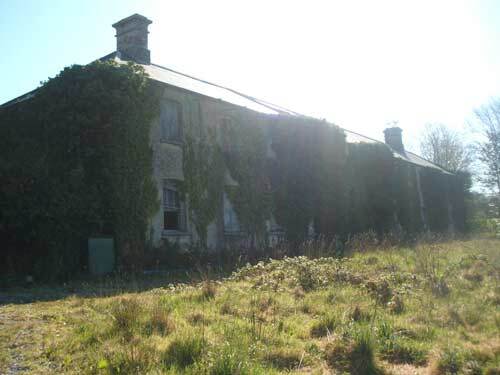 In 1853, just after the Great Famine, a workhouse was opened in Bawnboy. The Irish dreaded these places as they were seen as harsh, strict and unfriendly places, filled with the sick and the starving. Although the workhouse shut in 1921, the chapel there was still used by locals until 1979. An island prison, the castle was built in the early thirteenth century by the de Lacys, it changed hands for a number of years before it was finally won by the O’Reillys, who held it until the early seventeenth century. 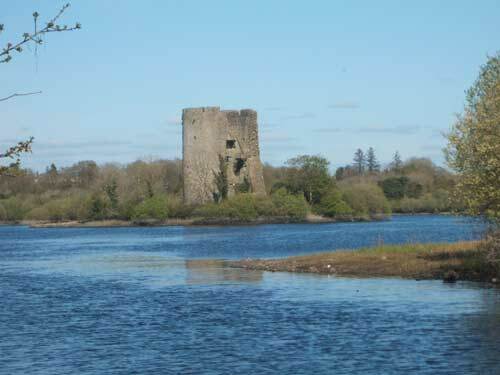 Bishop William Bedell was imprisoned in Clogh Oughter Castle during the 1641 rising and Owen Roe O’Neill either died in the castle itself or in a house on the shores of Lough Oughter. Clogh Oughter Castle was one of the final strongholds to withstand Oliver Cromwell’s forces, but it fell in 1653 when its east wall was destroyed by cannon fire. A small private church was founded here in the sixth century AD, supposedly by St Feidhlim. A parish church was then built at Kilmore between the twelfth and fourteenth centuries, and it was elevated to the status of cathedral in 1454. Construction of the present cathedral was completed in 1860. 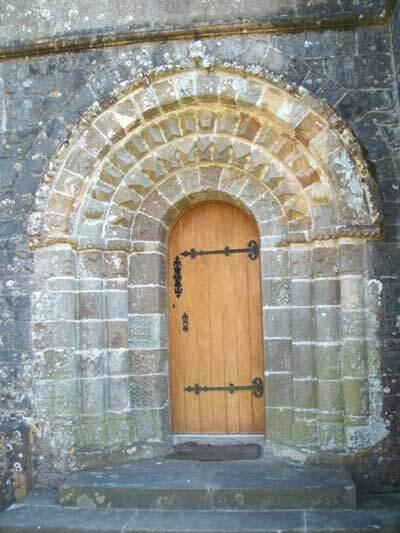 At this time, a Romanesque doorway dating to the late twelfth/early thirteenth centuries was taken from a monastery on Trinity Island in Lough Oughter and placed in the northern transept of the new Cathedral. The doorway is decorated with animals, foliage and various shapes. 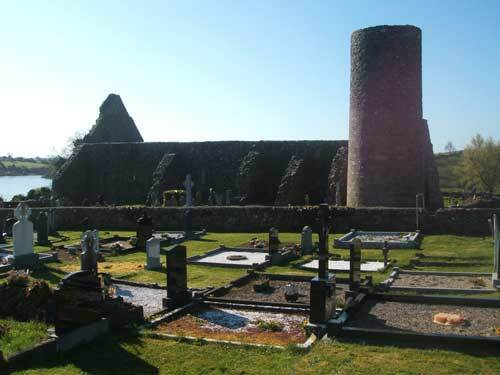 The cathedral is also the final resting place of William Bedell, a Church of Ireland bishop of Kilmore who died in 1642 and who was responsible for the first translation of the Old Testament into Irish. Portal tombs can be found in an area of Blacklion known as the Burren. 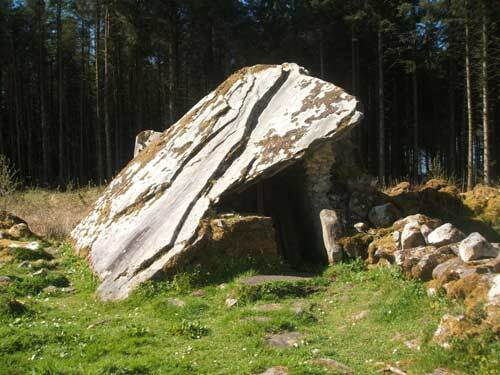 There are 12 recorded portal tomb sites in Cavan, mostly in the Burren. Portal tombs usually consist of a single chamber covered by a large capstone. 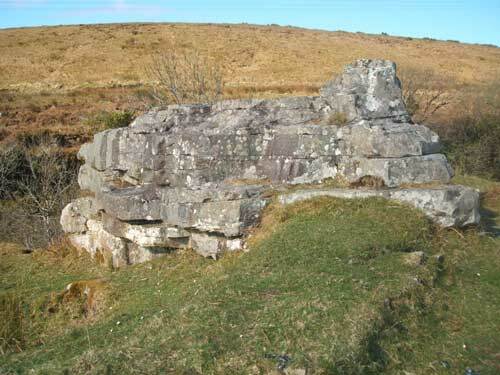 The capstone of the Calfhouse portal tomb, which measures 16 foot x 13 ft 6 inches, has slipped off over time and was used in more recent times to house livestock, hence its name. Portal tombs normally housed multiple burials and bones found in them are usually in a disarticulated state, with all of the bones mixed up with each other.